Fee: $25 for members and $30 for non-members plus a $12 supply fee paid to instructor on day of workshop. Description: Make and take home a unique Christmas Holiday Tabletop Centerpiece, using any combination of seashells, sea glass, pearls glass marbles glitter and sand-all provided. Bring your own shells and sea glass if you wish. 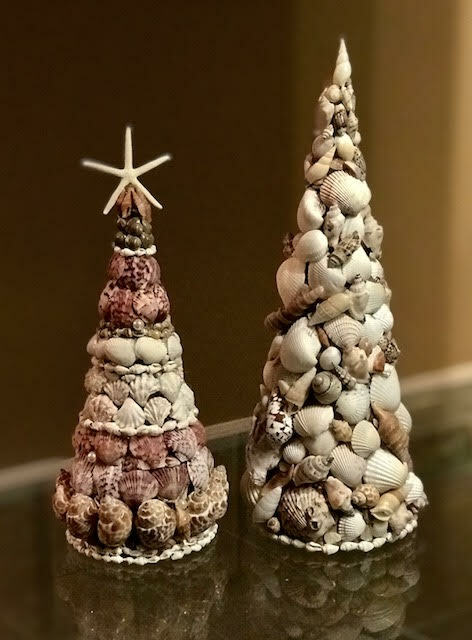 Whether you’re an expert glue-gun slinger or novice you’ll be thrilled with your Sea Shell Christmas Tree. Oh Tannenbaum!